For many young drivers, a driver’s license equals the freedom to explore places they have not been to, or the ability to drive to and from school (or work) on their own. No more Mom or Dad dropping them off or picking them up. And don't forget to learn who can be in the car with a permit driver in Colorado. But for parents and communities, a driver’s license in the hands of a teenager can be a cause for anxiety. After all, accidents, including motor vehicle accidents, are the leading cause of death among Americans aged 15 to 24. As such, the law enforces strict standards everyone must adhere to when obtaining a driver’s license. The first step towards getting a license is the learner’s permit, also known as a driver’s permit, learner’s license, or provisional license. Colorado’s Graduated Driver’s License (GDL) program aims to gradually increase learners’ driving privileges as they obtain more driving knowledge and experience. Driver’s license applicants aged below 21 must hold a learning permit for 12 months and complete the mandatory practice driving hours to become eligible for a driver’s license. Drivers aged 16 to 21: minor learner’s permit. No formal driving training required. Upon passing the visual and written exams, you will be granted the corresponding learner’s permit. 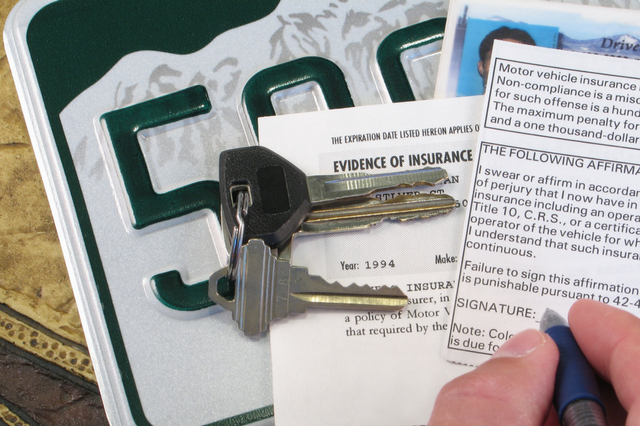 Whatever the type of permit you’re issued, if you are under 18, you are required to practice driving behind the wheel with a parent, driving instructor, or legal guardian and log the mandatory 50 supervised practice hours (at least 10 hours of which for driving at night) to advance to the driver’s license application stage. If you are under 16 ½, you must also complete six hours of behind-the-wheel (BTW) training with a driving instructor. If living in an area where no accredited driving schools exist within 30 miles, a 20-hour driving practice with an approved driving supervisor can serve as BTW training replacement. If you are under 18, your driver’s permit only allows you to drive with a licensed adult 21 years old and above. This person can be a driving instructor, your parent or legal guardian (who also must sign an affidavit of guardianship and liability in the presence of a notary or an employee of the DMV), or someone approved by your parent or guardian. Strictly no cellphone usage while driving. Don’t forget to put your seatbelts on. To obtain a driver’s license, you first must train on the rules of the road and how to become a safe driver. These are exactly what a learner’s permit allows you to do. With it, you can start honing your driving skills with the help of a qualified adult or driving professional. Learn as much as you can while you are at it. Although it’s true that driving entails freedom, it’s also a responsibility you must commit to at all times. People’s lives, including yours, depend on the type of driver you become. For any questions regarding driver’s permits, Western Slope Driving Institute’s instructors who are mostly former traffic enforcers and emergency first responders can help. You may also contact us if you want to enroll your teenager in any of our driving courses.